So this is what happens to me. Early on a Saturday morning, I’m messing around on the internet, and see a tweet about good deals on IcelandAir. Next thing I know, I’ve booked a week long trip. Just like that. It just happens. In my few months of planning I booked some hotels, I made note of a few waterfalls to visit, I had a general plan in mind. I’d done my homework, but when the plane landed at Keflavik, I was in for some surprises. The roads are empty. I mean really empty. 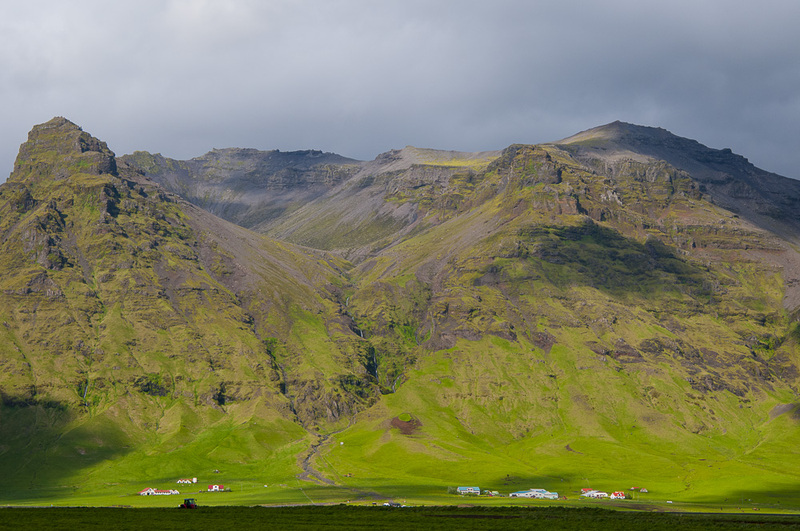 I grew up in the Western US, so I know a few things about open spaces, but Iceland really amazed me: the big open vistas, driving for miles without seeing another car. It could have felt lonely and scary, but instead it felt exhilarating and exciting. Driving was really easy. I think what makes driving in new places so hard is dealing with the traffic and not knowing when you need to make a turn or what lane you need to be in, but I never had that problem there. Driving along as the waterfall comes into view, it’s pretty easy to tell when you need to turn off. 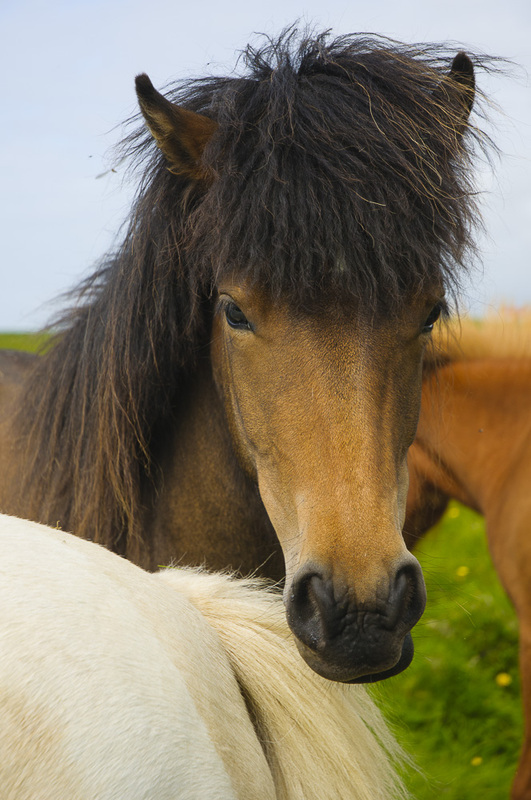 The horses are incredibly friendly. Every chance I got I stopped by the side of the road and went over to make friends and take their picture. No one ever came out of a farmhouse yelling at me for bothering their horses, so I’m guessing this kind of thing happens pretty regularly. 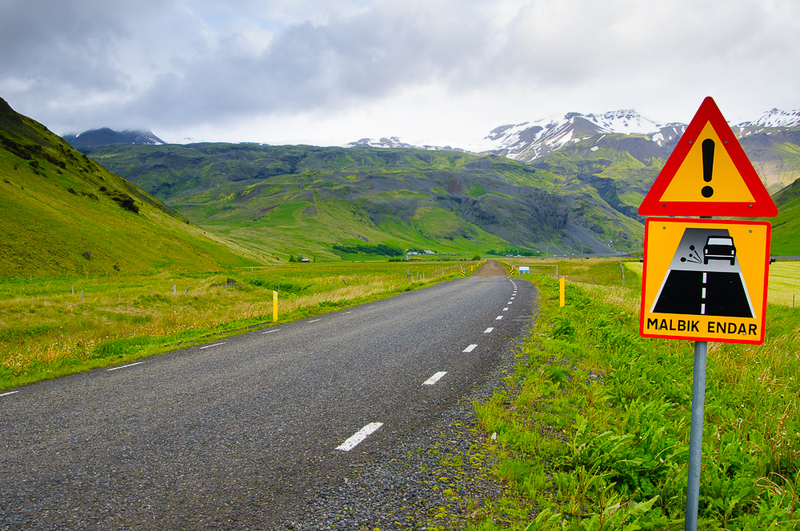 The biggest hazard on the road is actually the landscape surrounding it. Most of the time the roads have only a small shoulder, and the road is often raised above the level of the land by about 2-3 feet, so there isn’t a lot of room for mistake. And I almost ran off the road a few times cause I was gawking at the landscape. It’s very distracting. You’ve been warned. The hot water smells very much like sulphur. Most (all?) of the hot water in Iceland comes straight from the ground and into your taps. And some of that water has a high sulphur content. Maybe I’m just really sensitive to it, but at one hotel I went down to the front desk to ask if something was wrong; the girl at the desk gave me a quizzical look: It’s obvious that you get used to it and Icelanders just don’t smell it anymore. Everyone, everyone speaks English. And I never felt bad about making them speak it, like I do when I visit some places. I think the rule is: the smaller the country, the happier people are to speak English. They know getting people to learn their language is gonna be an uphill battle. Gorgeous pastoral scene, or the verge next to the restaurant on the beach at Vik? The grocery store sold peanut butter. This I really did not expect. Most cultures find peanut butter absolutely disgusting. so it can be really hard to find outside the US and Canada. I knew that Iceland was expensive, so I’d planned on buying bread and jam at a store and pairing that with brought-from-home peanut butter to make simple on-the-go picnic lunches, but in the end it wasn’t necessary. I could have bought everything right there. 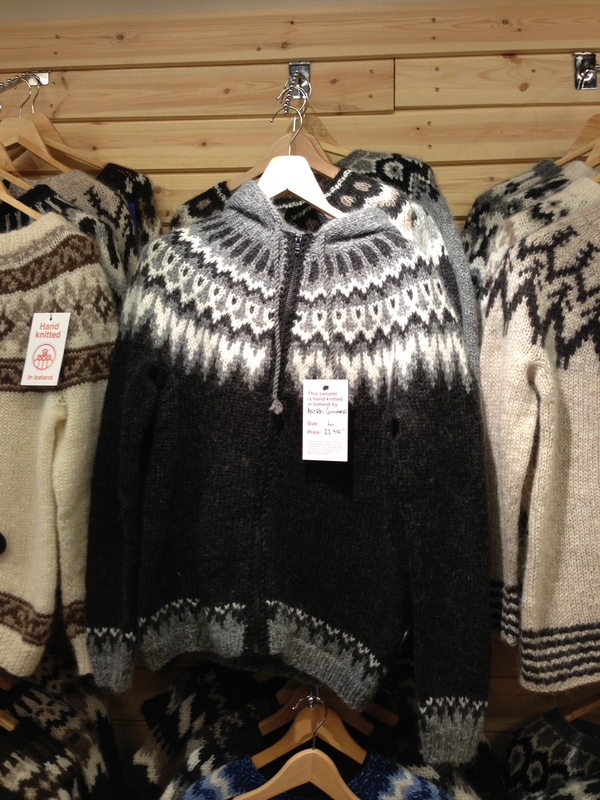 The desire to buy a thick Icelandic wool sweater was SO STRONG I almost couldn’t resist it. I even posted a picture to Instagram and begged people at home to talk me out of it. I live in California you see, and never ever wear the wool pullovers I have now so I definitely did not need a new one thicker than all the others. Instead I bought a wool throw from Álafoss, and that turns out to be one of my best souvenir purchases ever. The cat is in love with its vaguely horsey smell for starters, and it’s heavy enough to keep you warm on the sofa on a chilly night. 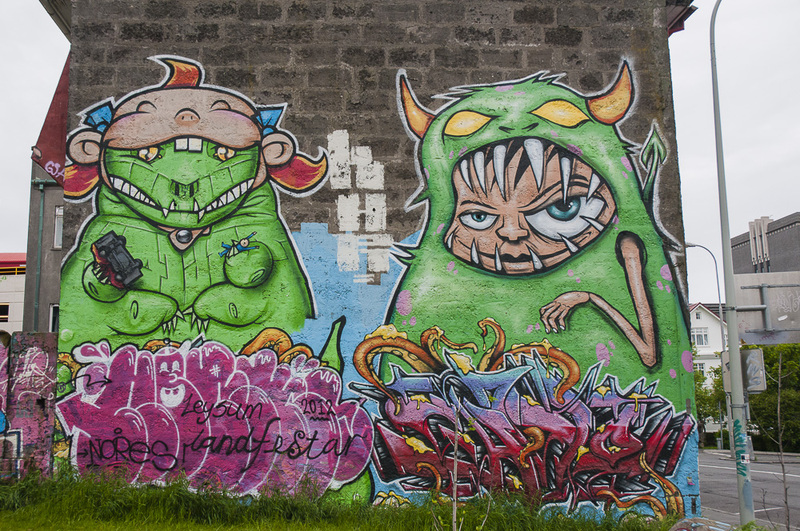 The one thing about Reykjavik that surprised me (aside from the shop that only sold thermal underwear) was the amount of (really quite good) street art around the city. Just off the main shopping street there is a little skate park surrounded by huge murals, and other things tucked in here and there. Someone must do a street art walking tour, it’s be a great way to see the city. My final surprise? 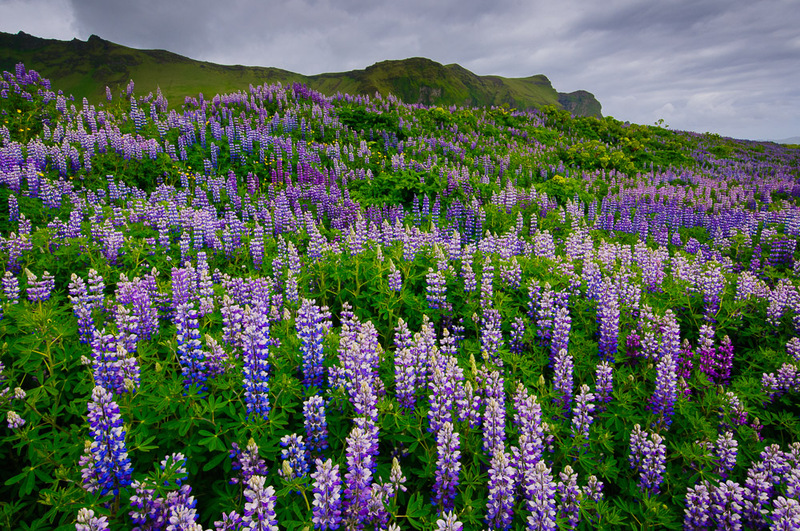 At the end of the week I was back in Reykjavik, going to the airport and thought…. “I wanna do it again! Let’s go round the other way!”. I really did not want to leave. Lots of places, by the end of a week or two you’re ready for home and your own bed but that was definitely not how I felt. I can’t wait to go back and explore the western side of the island.